Tracklist: 1. BadboE - Get Your Boogie On 2. BadboE & Prosper - How Funky Is Your Chicken 3. BadboE & Prosper - Gimme What You Got When these two heavyweights of the scene team up together, we can always expect them to pull something special out of the bag. 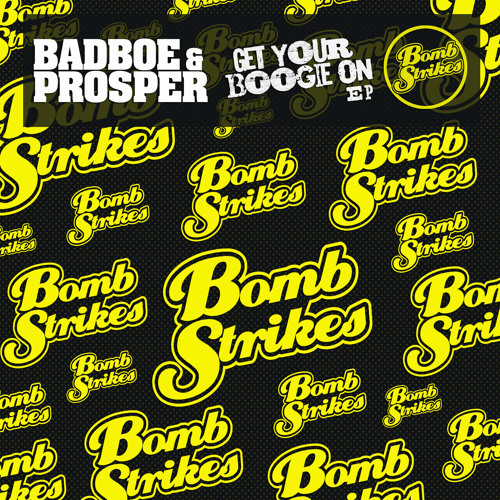 Back again for Bombstrikes after quite a hiatus, we bring you the "Get Your Boogie On' EP. Their knowledge of original funk and motown is self evident here on all 3 tracks which are expertly crafted with their trademark party vibes, melodic soulful vocal hooks and party rocking beats.